It is made from genuine goat leather that is naturally water resistant and lined with all natural cotton canvas. 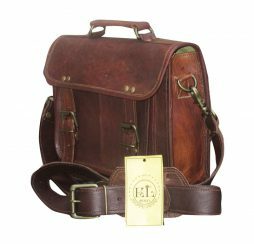 The bag features fully adjustable shoulder straps and a top grab handle. SKU: LBB-3. 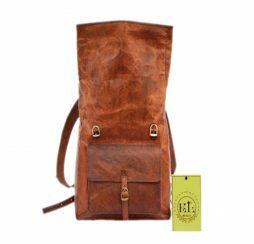 Categories: Natural Bags, Backpacks. 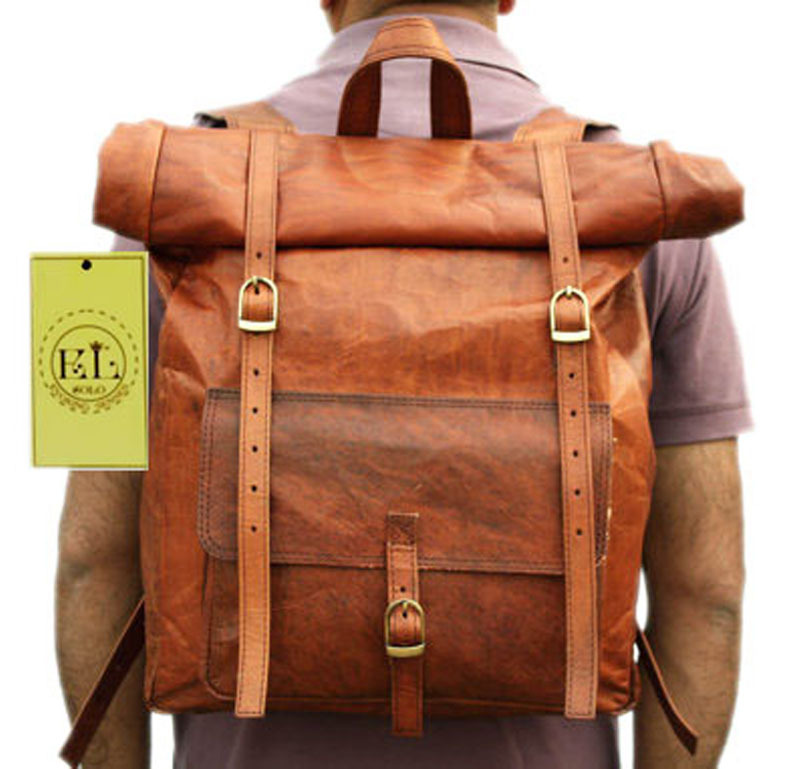 The Leather Roll Top Backpack is a medium size pack, but with a big personality. 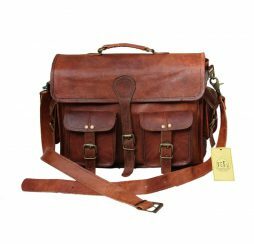 Take it with you to work, to school, or to the trails, or even on a short day tour – this bag will gladly go anywhere you chose to venture. You’ll have all the room you need for an extra pair of clothes, school books, snacks, and more, along with the confidence that your gear will stay dry in any weather condition. 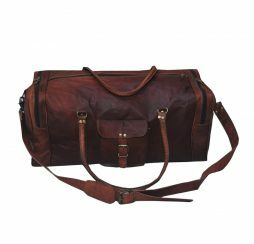 The watertight roll-closure and naturally water resistant goat leather will ensure dry gear when you reach your destination. 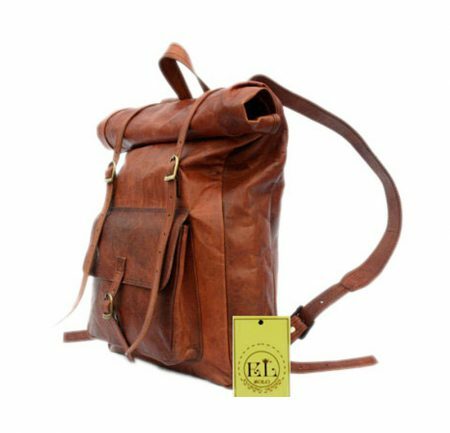 The Leather Roll Top Backpack is made from genuine goat leather that is naturally water resistant and lined with all natural cotton canvas. 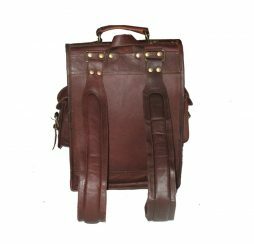 It features fully adjustable shoulder straps and a top grab handle. We have used high end solid brass hardware, heavy duty YKK metal zippers, solid brass rivets and a high thread count canvas twill for lining to make this bag stand out and durable – so that it gives you years of UN-interrupted use. NOTE: Goat hide is all-purpose leather that combines softness with durability and strength. 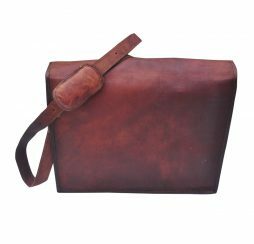 It is flexible and naturally water-resistant and does not crack or get hard when wet. 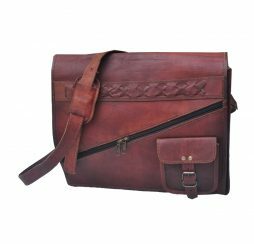 This leather is still processed in the traditional ways that have been around since ages. It is not processed by commercial operations but individual families where the skills and knowledge is passed from one generation to another. 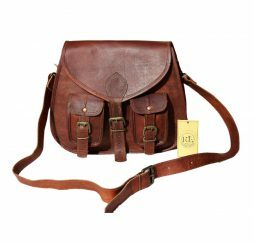 No chemical treatments or dyes are used to process or color the leather. 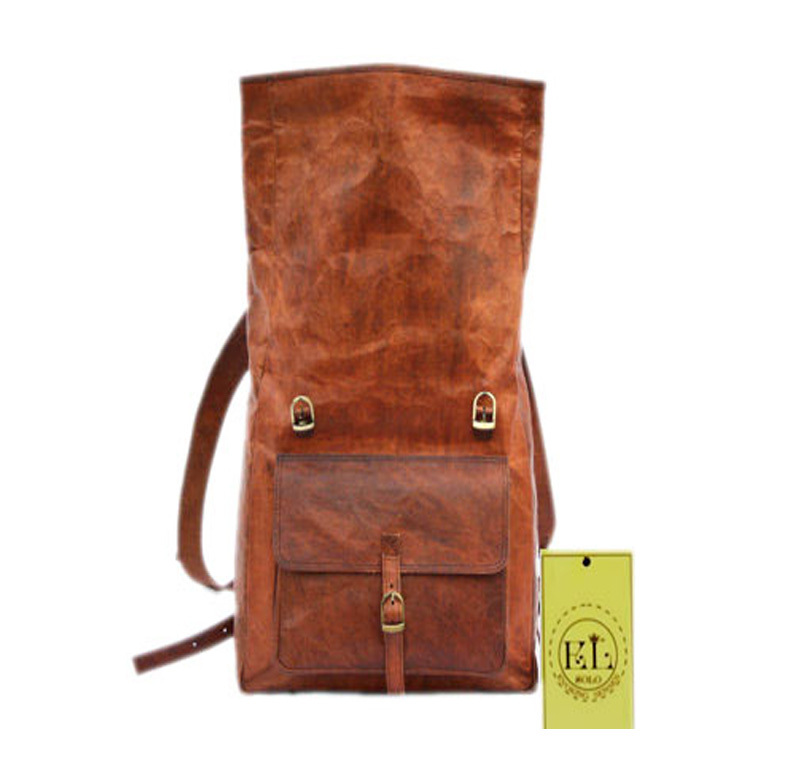 It is all natural and the leather retains a distinctive leather odor, which fades over time. 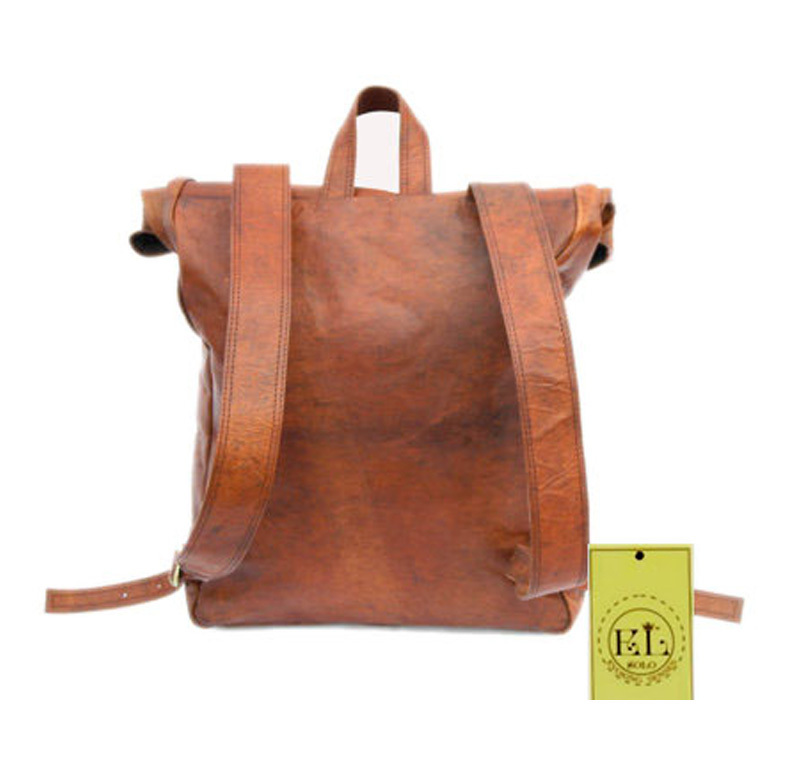 The leather also gets better with age as it softens and develops a deeper patina. I use it as my school backpack. 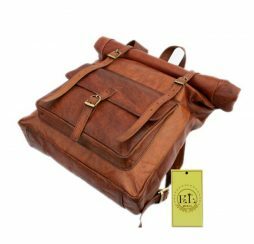 The bag is durable and holds almost everything. It is just perfect for me. – for me, the straps aren’t much comfortable. Final: Just grab the deal. It’s a very good product for its price. 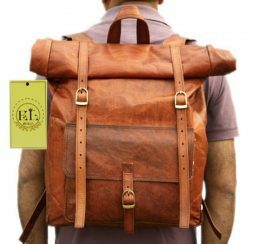 Awesome bag, preferable for journey or camping. Looks good too. It’s comfortable to carry even when it’s heavy. The look and feel is too good. I got so many complements for the bag. I’m very satisfied with it. Got it at 15% off during sale. 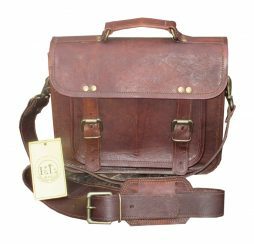 Looks like it was the best seller..Not a bad deal with discount. 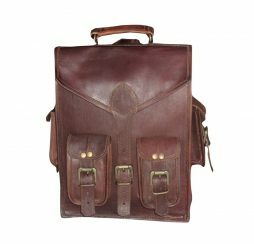 This genuine leather backpack features a wonderful unique and vintage look, designed to carry mini laptops, tab, documents, personal belongings etc. 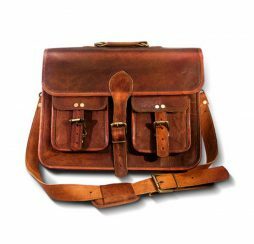 Perfect for the office, school or as a gift!